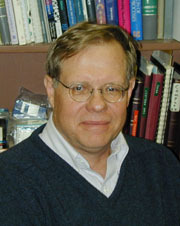 H. Eric Nuttall, Ph.D., is a professor emeritus of Chemical/Nuclear Engineering at the University of New Mexico (UNM) in Albuquerque . He has worked for UNM since 1973. He has over 200 publications/presentations and directs graduate student research on in situ bioremediation as well as teaches an annual course on bioremediation. At UNM, Eric developed and managed a very successful field site for in situ treatment of nitrate-contaminated groundwater. He has been an active member of ITRC since 1996 working with several different teams that create guidance documents and training related to in situ bioremediation, technology verification, chemical oxidation, enhanced attenuation: chlorinated organics, and perchlorate. He also has developed an in situ process to immobilized uranium and heavy metals which is being tested both by U.S. Department of Energy at an Uranium Mill Tailings Remedial Action (UMTRA) site and in Germany through WISMUT. Eric earned a bachelor's degree in chemical engineering from University of Utah in Salt Lake City in 1966, a master's degree in 1968 and a doctoral degree in 1971 both in chemical engineering from University of Arizona in Tucson.